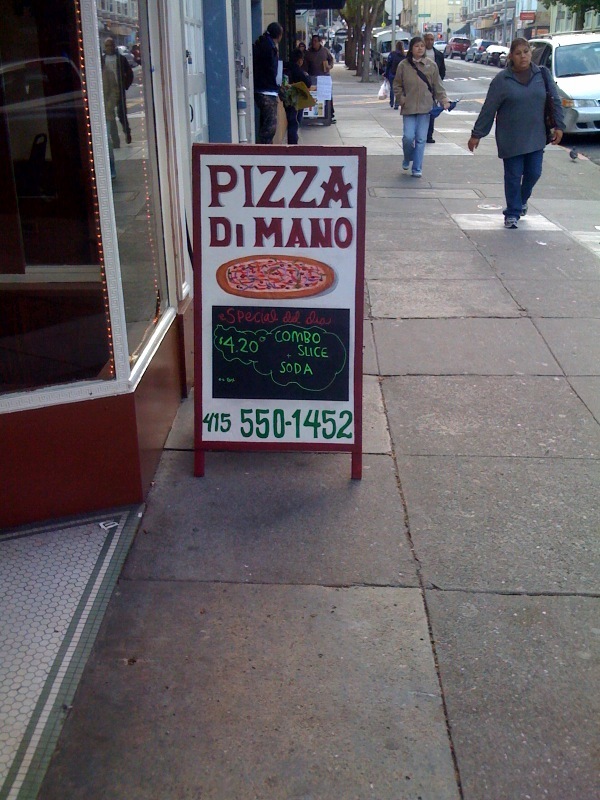 It is Pizza Di Mano and it’s mediocre for the price. Check out today’s special though! I refuse to believe this place has a real name. I will continue to call it "free delivery". I got a coupon as I walked past last night. They’re definitely upping their marketing efforts, starting with giving it a name. Yeah, some dude was harassing the crap out of the passers by. That was some super-aggressive coupon dispensing. Have you noticed that there is even a banner on the back of the shop to attract risers from the BART escalator?….Got to go check this place out.